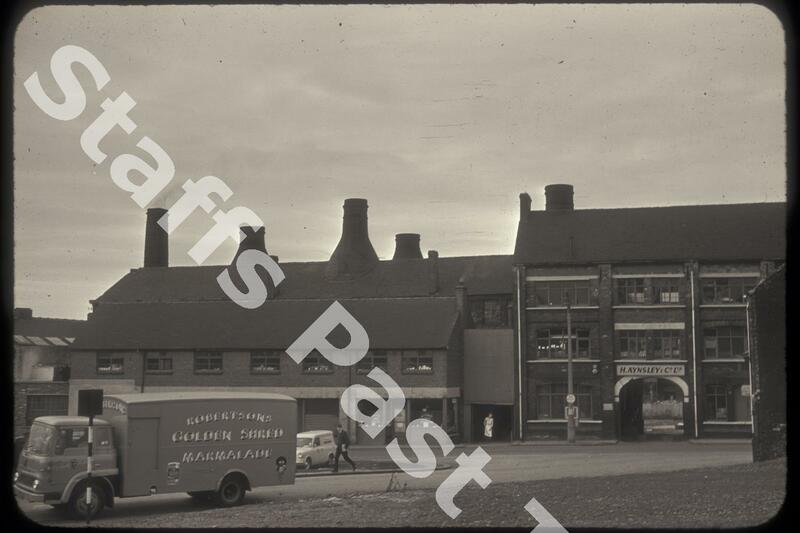 Description:This photograph of Herbert Aynsley's Commerce Street Works was taken from the corner of Millbank Street (previously Union Street) with the centre of Longton off to the right. 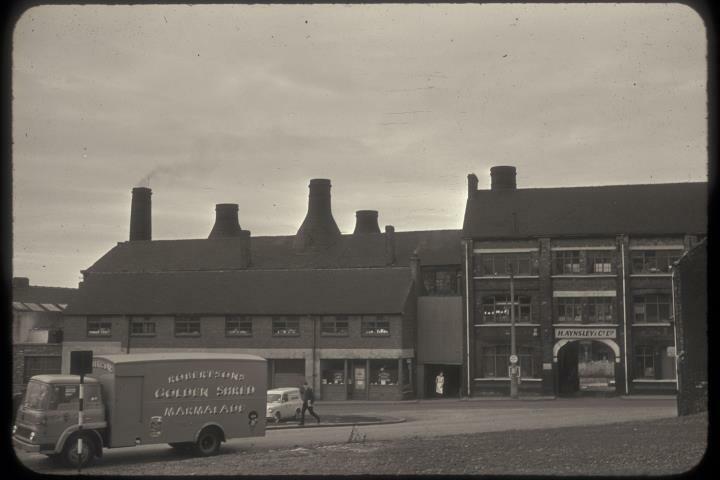 Formerly known as Chetham Pottery, the works were operated by Herbert Aynsley from around 1869 producing earthenware. Over time the works and company had a variety of owners until closure in the 1990s. The building to the left with two ovens within a workshop range is grade II listed. The range is hidden behind the two storey building in front. This has been demolished and the works is now visible from Commerce Street. This building is part of the original Chetham Pottery and is just a small part of the once larger Commerce Works. On the left is a delivery lorry for James Robertson's Golden Shred marmalade displaying the company's now retired "Golly" mascot.